In the portion, VaYeshev (And Jacob Sat), Jacob dwells in the land of Canaan. The protagonist of this portion is Joseph, Jacob’s youngest son. Joseph was gifted with a knack for prophetic dreams. In one of them, he sees himself ruling over his brothers. He tells them about it and turns their envy against him. His brothers lead the cattle to Shechem to graze there, and his father sends him to them. On his way he meets a man and asks him about his brothers: “I seek my brethren” (Genesis 37:16). By the time Joseph finds his brothers they are already conspiring to kill him because of their envy. Reuben manages to prevent them from committing the murder and the brothers decide to throw Joseph in a pit, instead, in order to sell him to the Ishmaelites. A convoy of Midianites that passes by takes Joseph with them down to Egypt. When Joseph arrives in Egypt, he hides in the home of Pharaoh’s captain of the guard, Potiphar. Potiphar’s wife tries to seduce Joseph but he refuses. She avenges by saying that Joseph tried to force himself on her, and he is thrown to the dungeon. In the pit, Joseph meets Pharaoh’s two officials, the chief cupbearer and the chief baker. He also discloses his gift for prophetic dreams. He predicts that within three weeks the chief cupbearer will be released, and the chief baker will be hanged. Joseph asks the chief cupbearer that upon his release he will go to Pharaoh and tell him that he, Joseph, is jailed for no reason and that he should be released. This portion contains a profound spiritual message. It narrates the correction of the soul, which is man’s purpose in life, and the reason why the Torah was given. 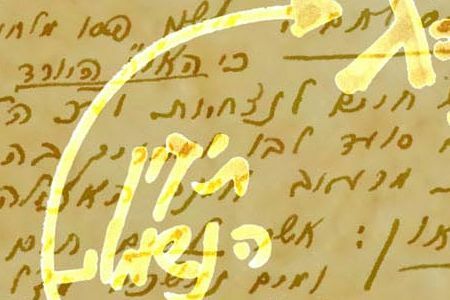 Initially, the evil inclination appears, as it is written, “I have created the evil inclination, I have created for it the Torah as a spice,” for “the light in it reforms it.” “Reforming” means returning to a state of “love your neighbor as yourself.” That is, it brings a person back to the quality of bestowal, similarity with the Creator. This is what we should achieve, as it is written, “Return, Oh Israel unto the Lord your God” (Hosea 14:2). 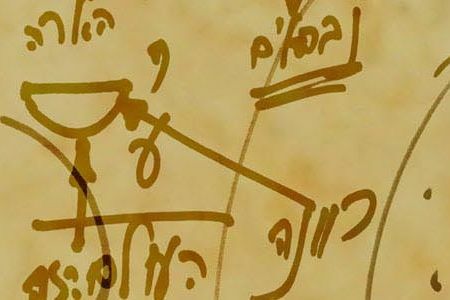 The Torah demonstrates how the ego, the will to receive, keeps changing until it is corrected. In the example shown in this portion we see how all our qualities connect, then separate, manifesting imbalance among them until they beget more advanced qualities, closer to bestowal. Jacob is the beginning of the quality of bestowal within us. Abraham, Isaac, and Jacob are the three patriarchs. Jacob is actually the senior, containing both the desire to receive and the desire to bestow within us, as it is only possible to elicit the middle line using both. The middle line, Jacob, is still not attributed to the level of execution in us, but to the level of decision making. The expression of Jacob’s execution level is his sons, from Reuben, the eldest, to Joseph, the youngest. And precisely in this hierarchy do the qualities within us hang down. This is how our ego, in all its (still incorrect) forms, is corrected. The one who completes them is Joseph, the righteous. He gathers all the previous qualities into the quality of Yesod (foundation), which is called “the righteous Joseph,” or “a righteous, the foundation of the world” (Proverbs 10:25). The portion, VaYetze (And Jacob Went Out), begins with Jacob leaving Beer Sheba and heading for Haran. He stops for the night and in his dream he sees a ladder “set up on the earth, with its top reaching to heaven; and behold the angels of God ascending and descending on it” (Genesis, 28:12). The Creator appears before him and promises him that the earth on which he is lying will be his, that he will have many sons, and that He will watch over him. The next morning, Jacob sets up a monument in that place and calls it, Beit El (House of God). 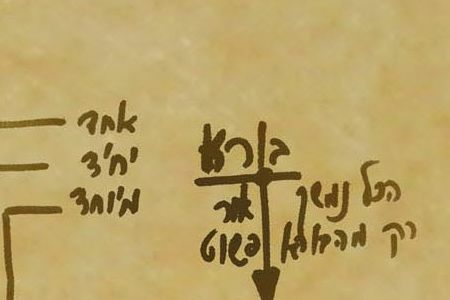 Jacob comes to a well near Haran, where he meets Rachel and her father, Laban the Aramean, who offers him to work for him for seven years in return for permission to marry Rachel. At the end of the seven years Laban deceives Jacob and gives him Leah instead. He compels Jacob to work for him seven more years, after which he gives him Rachel and Jacob marries her. Leah has four sons from Jacob, while Rachel is barren. Rachel gives to Jacob her maidens, who give birth to four more of his sons. Leah delivers two more sons, until finally Rachel conceives and gives birth to Joseph. Jacob asks Laban to pay for his work. Laban gives him some of the flock, although they had a different agreement. Jacob shows the flock the troughs, and they conceive and deliver. Some of the lambs are born striped, some are speckled, and some are spotted. Jacob feels that Laban is not treating him as before. At the same time, an angel appears before Jacob and tells him to return to the land of Israel. He leaves without notifying Laban, and Rachel steals the idols. Laban chases them in search of the idols, catches up with Jacob on Mount Gilead, and rebukes him for fleeing and stealing the idols. Finally, they make a covenant on the mountain. Jacob is preparing to enter the land of Israel, he sees angels accompanying him, and he calls the place, Mahanaim (two camps). Kabbalah always interprets stories as stages in a person’s inner growth, according to man’s purpose in this world—to discover the Creator, to achieve His degree, meaning to achieve Dvekut (adhesion). 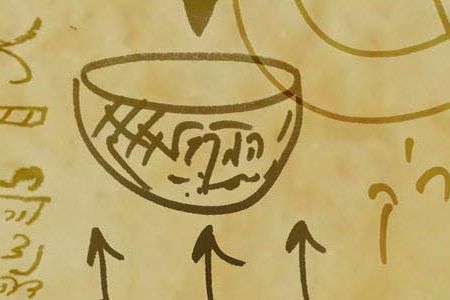 Thus far, all the portions related to man’s initial point, Abraham, which is scrutinized through study, the group, connection with the teacher, and the books of Kabbalah. Subsequently, a person discovers the next stage, Isaac, followed by Ishmael, and then by Esau. The portion, VaYetze (And Jacob Went Out), speaks of Jacob, who is the middle line. Abraham is the right line, and Isaac is the left line. Jacob is special in that the middle line contains all the qualities, the good, as well as the bad. In the middle line, the evil inclination and the good inclination merge in order to achieve the degree of the Creator, our goal. The work in the middle line is done entirely in faith above reason, in bestowal, above the ego. This is the quality of Jacob in a person, and this is how it develops. Jacob leaves Beer Sheba, meaning a certain place, an inner state, and heads for Haran, which is another stage along the way. On the way there he must shift from state to state through the day and the night. In other words, Jacob experiences internal, spiritual ascents and descents.